Shoes? Check. Hairdressers? Check. Church booked? Check. Hen party organised? Check. Organising a wedding is very exciting, but we also know it can become quite stressful. With this amazing day drawing near and the desire for fairy-tale perfection remaining paramount, it can prove quite a nerve racking and tense time. Especially for the bride to be, who shouldn’t be spending time worrying about seating plans, getting Auntie Enid to the church or whether or not the guests will RSVP in time. The bride should be able to indulge in her fancies with her girl friends and enjoy the rest of what single life she has, before she adopts the domestic bliss that the future holds for her. Who says that men wear the trousers? This is not the case, especially when it comes to planning and organizing the most perfect wedding day. A bride will envisage her dream wedding and, budget allowing, will plan every detail to the end. We at Special Day Cars understand the stress you are under and are here to help with how you can be perfectly transported on your wedding day. It is important that you, the bride, is able to sit back, relax and enjoy the special day. Not only because of the romantic essence of marriage and the ultimate commitment the day beholds. But also because of the hard work and dedication you have adopted into the finer details and the planning. We know that every detail counts and therefore we will work with you to find the most perfect and suited vehicle for your special day, that will enable you to enjoy and embrace the whole romantic wedding experience. The best weddings involve creativity, unique style and careful planning. The transport on the day is no exception. The bride is the most important person on the wedding day. She needs to be relaxed and glow with happiness and adoration for her new husband and not be distracted with any other factors of the wedding. To achieve this every detail needs to run smoothly, from start to finish. The first journey for the bride on the day is the most crucial. You need to get to the church in perfect time, not before the groom and ‘fashionably late’ but not too much later. The journey must be comfortable and luxurious. You must arrive with grace and style, with an experience that can be reminisced forever. It is traditional that the father of the bride travels with the bride, but this is a choice that can be chosen to personal preference. A chauffeur driven wedding hire car would be the most satisfying, as you can relax and dreamily ponder what the day will entail. With all of the bride’s careful decision making prior to this day, it is important that choosing the car reflects these decisions and careful consideration takes place when making transport choices. The perfect style dress has been chosen, the fabric, the color, the length, the width, it has all been tailor made to every perfect detail. It would be a shame to now choose a car that would result in creasing the beautiful dress. The perfect car would need to accommodate the size of the dress, you do not want to be squashed or feel uncomfortable, especially after all of your other careful planning. You have finally selected a wonderful venue to hold your ceremony, the perfect car would be one that would compliment the location and add picture perfect. For example, if you have a traditional venue you would ideally want a beautiful classic car to suit. Your wedding may have a theme embedded throughout the day, for seamless continuity the car could perfectly reflect the theme. If you had a 50’s theme you may want a Cadillac to match. A Hollywood theme could include an Aston Martin. A modern theme could inspire you to hire a Rolls Royce Phantom. The opportunities are endless with regards to unique theme based vehicles. A bride will spend endless days before the big day deciding and picking out colours for the day. Some may even have these chosen by constant daydreaming throughout childhood. The colors of flowers, table decorations, bridesmaid dresses will all compliment each other, so must that of the car. We wouldn’t want the car to clash or ruin the flawless visual treats wonderfully planned out by the bride. The amount and size of the wedding car would also need to be thought about. The whole wedding experience can be reflective of how organized your chauffeur driven wedding day transport is, not only for the bride, but also for the guests. The Bridal party needs to be organized; nobody should be squashed into a car because of poor organizing, nor be left at the church. Your guests would enjoy your wedding far more, if they didn’t need to drive and could indulge in the champagne and celebrate your day with ease. As a happy newly wed, you and your husband will start your journey together in your chosen vehicle, travelling from the ceremony venue to your preferred reception venue. This may be the only time throughout the whole day when you can have some romantic time alone. This is the time to reflect the ceremony and enjoy your first moments as a married couple. For this reason this has to be the most perfect wedding car, with comfort, style and luxury. The idealistic car needs to be perfectly pleasing to compliment your other well organized choices for your dream day. As you can see, deciding on your wedding hire car does include many modes for thought. It is far more than just getting from A to B. 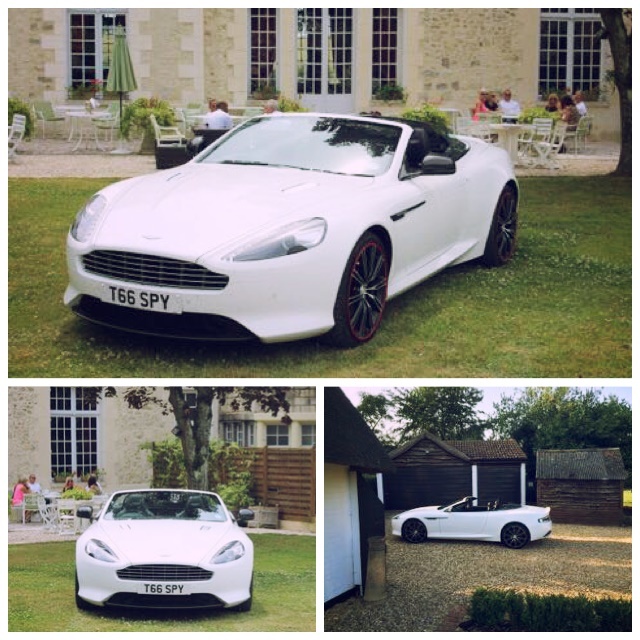 There are many fundamental factors involved in choosing your special day wedding hire car. That is why our friendly and helpful team here at Special Day Cars are always available to ease the pressure of arranging a wedding. We can tailor a pleasing package to suit all of your needs and make sure it is a stress free day that can be enjoyed by all. Please contact us if you wish for us to help lighten your load, we will happily help you choose your perfect wedding transportation. After all, how you arrive to where you will vow to eternally love and honor your husband to be, is a day that will hold fond memories for you forever.